Did you just get engaged? Congratulations! One of my favorite things to look at right after I set my wedding date was to look at save the dates & wedding invites. They really do set the tone for the wedding - you'll be able to give your guests an idea as to what to expect with your invitations. 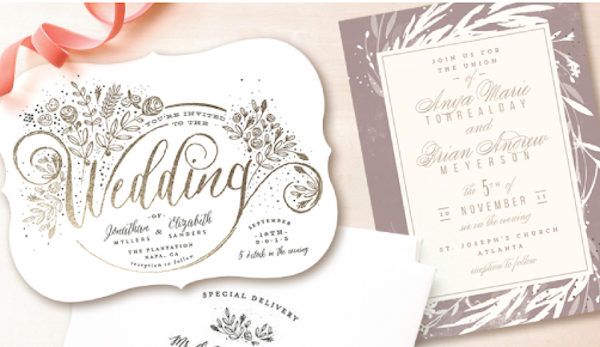 They could be a simple informal set or they could be a fancy letterpressed set. Whatever your choice, Minted has some gorgeous sets available that you definitely need to check out. Take a look!